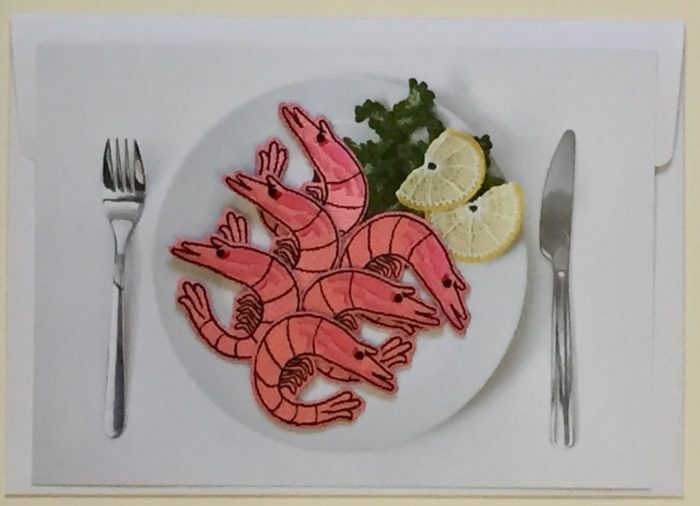 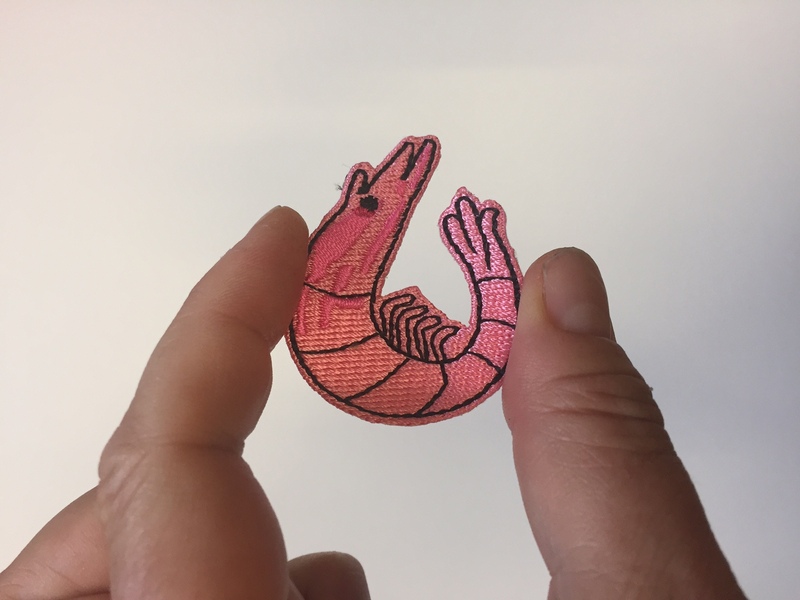 A party of 6 embroidered iron on prawn patches presented on an A5 postcard with envelope. 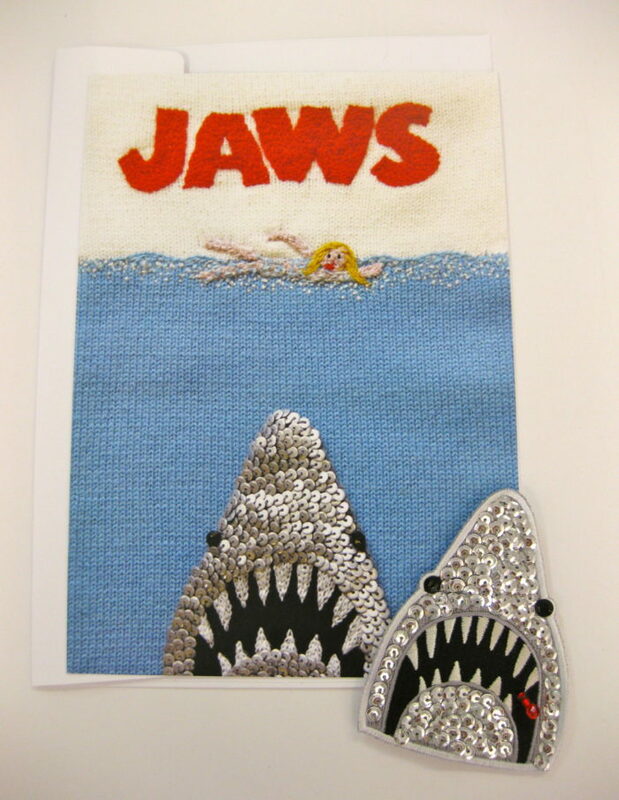 The ideal way to update your wardrobe and no sewing required. 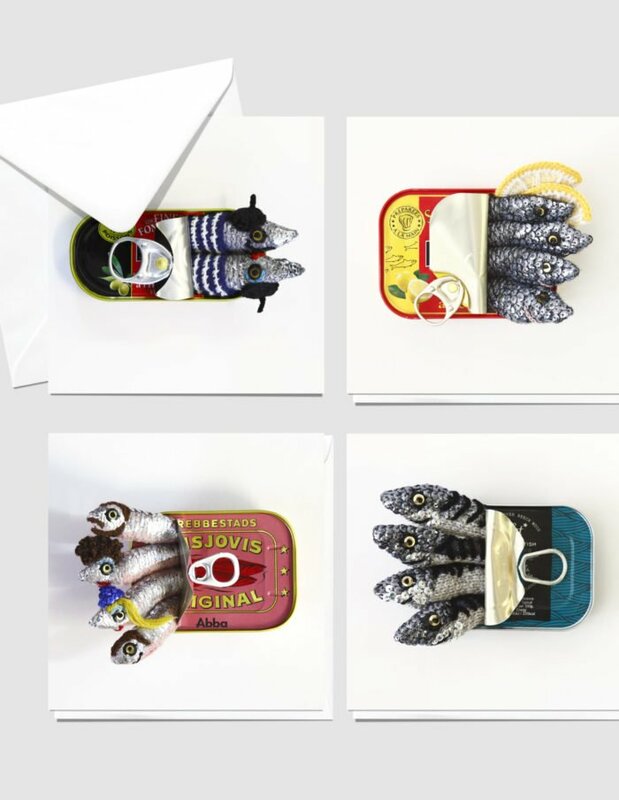 Price includes postage in the U.K only for all other countries please contact the studio here info@katejenkinsstudio.co.uk for a price quote. 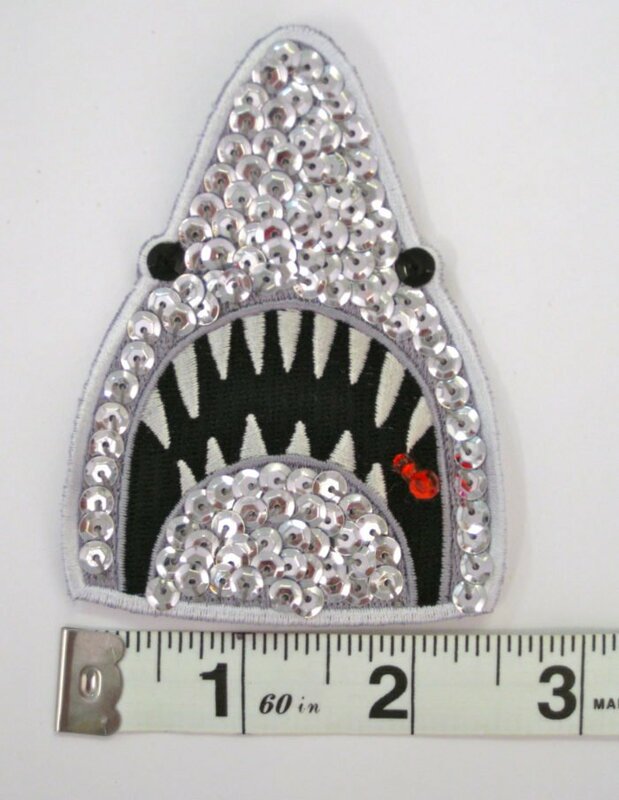 Hand sequined sew on patch with beaded blood drop. 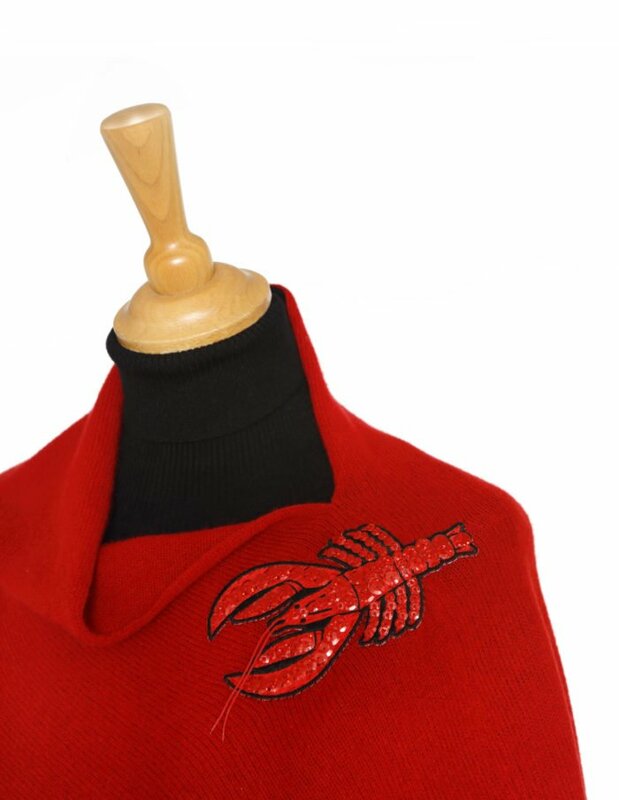 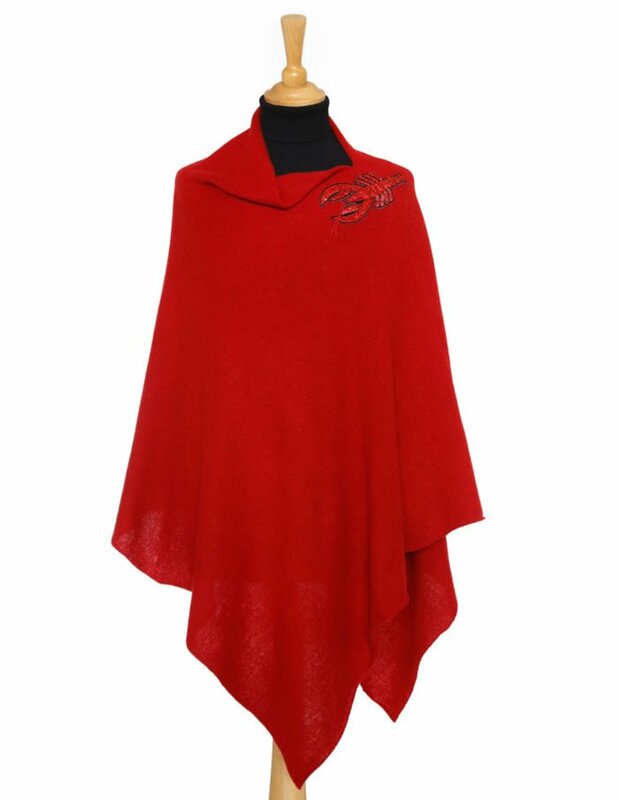 This will add a touch of bling to any item in your wardrobe. 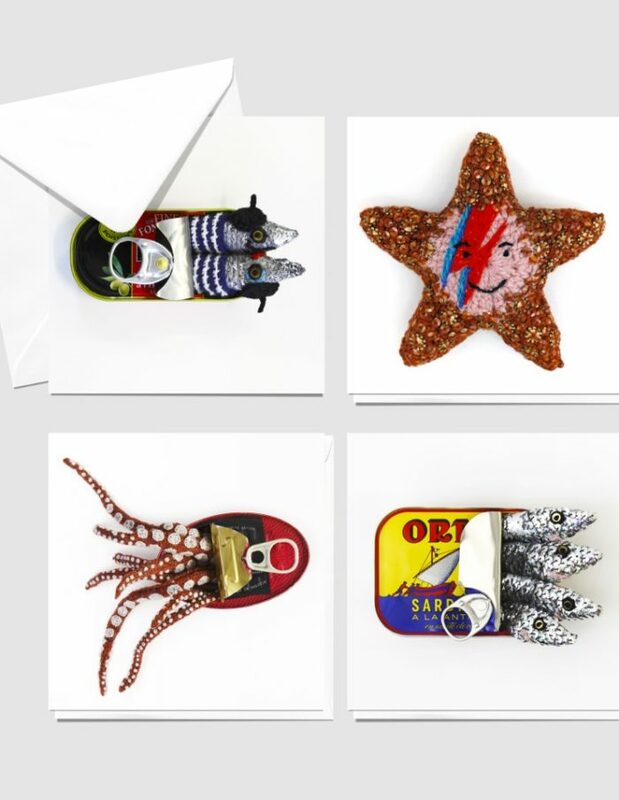 Set of 4 Blank Greetings Cards including Monsieur et Madame Sardine, Ziggy Starfish, Tinned Squid and Tinned Ortiz Sardines.